It may as well have been a clandestine operation unfolding in a dilapidated factory. It was dark and the main source of light was the sun shining through the smoked glass screen on the roof. The men were talking among themselves but all you could hear was the slamming of the heavy stamping machines. But straight off, you know there is nothing sinister happening as your eyes fall on the all-too-familiar Ambassador rear panel as it emerges from the machine. 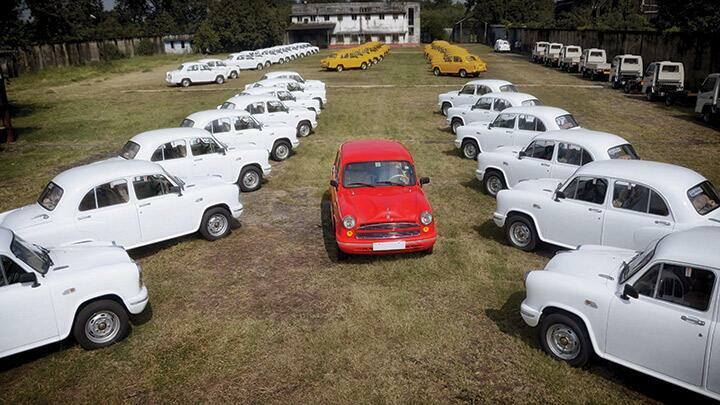 Welcome to Hindustan Motors. 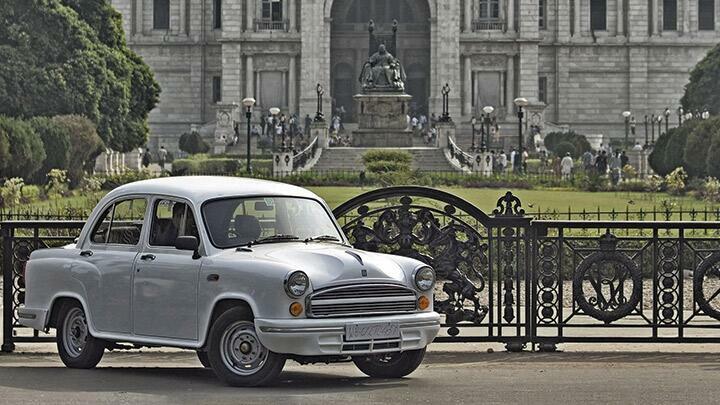 Contrary to popular belief, HM still makes the Ambassador at its Uttarpara plant, outside Kolkata. Sure, the number of employees inside the 700-acre plant has dropped from a high of 23,000 to 3,500 today. And going by the amount of work we saw happening there, even that seems like a lot. For example, HM cranks out a similar production output with only 500 people at its modern plant near Chennai, where it contract manufactures the Mitsubishi Pajero Sport and now, the Isuzu MU-7 and pick-up. Typical of many industries in West Bengal, HM is burdened by labour trouble, which remains one of the Ambassador’s biggest hurdles to survival. Strangely, this same hurdle is what has kept the car afloat. The company hasn’t shut shop or moved elsewhere simply because the unions won’t allow them to. Which has meant the Ambassador never ceased production here. But making cars is one thing. Selling them is an altogether different ball game. Especially selling a car that somehow got stuck in a time warp, but almost five decades later, wants to soldier on with minimal enhancements. And it’s really more by default than design that this car has been in existence this long, looking the way it has always looked. Sure, there have been upgrades along the way, and the company even toyed with some obscenely different-looking concepts but none of them ever materialised. Could that have been a good thing after all? The year is 2013, and I am behind the wheel of this ever-so-familiar, yet mystifying car. 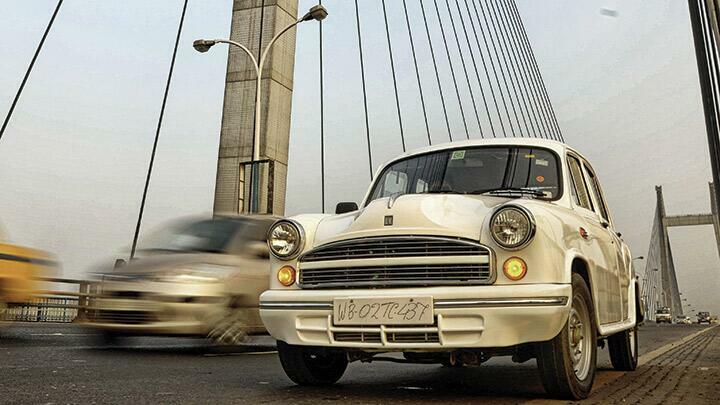 Not many know that the Ambassador Classic – often spotted on the news channels ferrying politicians, especially in Delhi – was finally caught out by emission norms in 2011. With Bharat Stage IV coming into effect, HM’s bread-and-butter model, the 1.5 Diesel, was actually not allowed to be sold in the metros. Which effectively also cut off the Kolkata taxis, one of Ambassador’s major clients. Of course, HM did have a BS IV model in the 1.8 petrol and CNG variants but not being able to sell its diesel variants was a big issue. Typically, wading through all its troubles, HM took its own time putting together a response. Finally, with some help from Austrian engineering firm Magna Steyr, a BS IV finally saw the light of day earlier this year, christened the Ambassador Encore. This is the first diesel BS IV from HM, effectively also making it possible for the car to be bought and registered in a metro, which should help push sales up from last year’s 10-per-day average. Our test car was the mid-variant, whose creature comforts included an optional air-conditioner and a standard fitment hand brake! HM says it makes business sense to keep the car as stripped down as possible, and as a result make it as cheap as possible to keep the taxi segment interested. For the ever-depleting pool of private car owners, there are more optional bits like that much-needed power steering, central locking, power windows and a modern-looking stick shift. Of course, I wasn’t lucky on all counts. But at least I had air-conditioning, which meant I could roll up the windows and shut out the cacophony and chaos that Kolkata presents to you at every step. There is an optional in-dash JVC music system, but you’d have to set the volume way up because there’s already enough clatter from the archaic 1.5-litre unit entering the big round cabin. Still, power is up now to 48bhp and so is torque – 112Nm. And that’s significant. The five-speed gearbox is still old school – long throws, and you need to slot it with a clear intent to slot. No pussyfooting or hesitation. Throw it into the slot like your life depended on it and be assured, nothing will break. An optional remote shift mechanism transmission makes things easier and much more like those in modern cars, which we’re used to by now. Of course, it isn’t butter smooth. The Amby was never designed to be a bank robbery getaway car, but it does feel like it can bulldoze through a couple of layers of police convoys. Just seems a coincidence that both the Ambassador and Kolkata have plenty of British influences. The city was the erstwhile capital of the Raj, which meant the Queen got a palace here, lots of educational institutions, hospitals, even trams. Interestingly, the Amby – essentially the British Morris Oxford – came into existence in the mid-’50s when the Birla Group got the license to manufacture cars in the East of India. This also meant that they shifted the small unit that they operated at the Okha port in Gujarat, to this sprawling space near Kolkata. 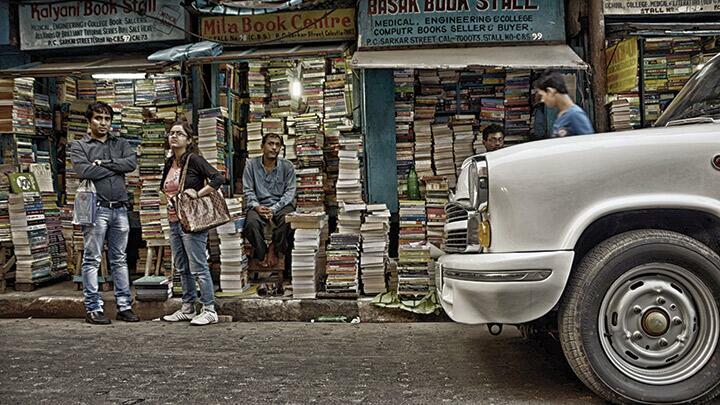 Ironic considering Tata had to take the Nano from West Bengal to Gujarat half a century later. The Ambassador was based on the Morris Oxford of the ’50s – one of the first to boast of a monocoque chassis – and saw five generation changes till the ’90s. 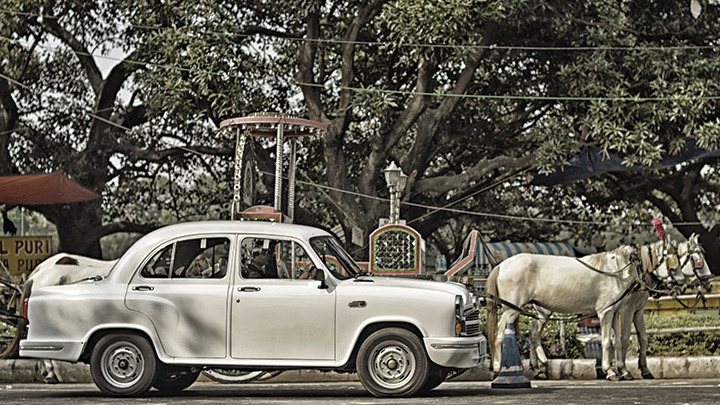 In pre-globalisation India, the Ambassador was the car of status to have. 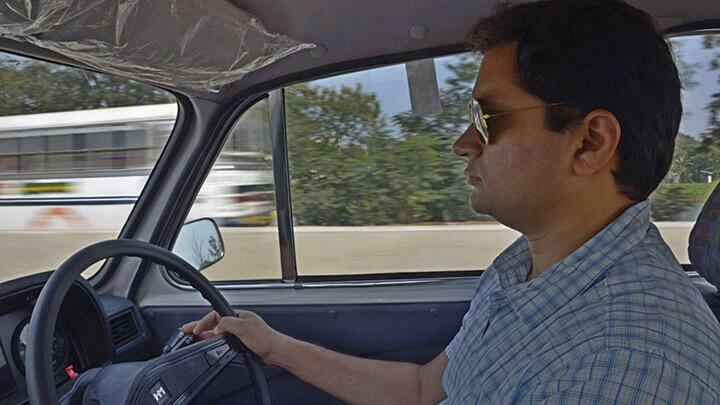 Naturally, it became the car of choice for our ‘leaders’ and bureaucrats as well. While I am sure a pristine Ambassador without a beacon would attract more attention in a city like Mumbai, in Kolkata it is business as usual. Most of the locals ignored us. While a few were intrigued to see us photographing an ‘old’ Ambassador, others were amused to see me struggling with the steering. Without power assistance, turning the wheel on this car is like pushing an elephant. I learnt this the hard way when a tram had to stop because I ended up blocking its path. But there is a trick, and it has to do with the way you hold the steering. Forget what the textbooks told you about holding a car steering wheel. Instead of placing both hands in the classic 9-3 position, tug at the wheel by pulling it from the inside. You may have seen a lot of taxi drivers do it. And while it looks like a chore, which it is, it’s the best way to manoeuvre. Of course, if you’ve ticked the power steering option, life becomes so much simpler. With more power in the 1.5 D, the car is a bit faster. Off the blocks, you feel a surge as you bury the throttle with a heavy foot. By the way, you do need to use a heavy foot because the throttle is…well, heavy. You can even rest your foot on it and the car won’t accelerate till you actually push it in. But after the initial surge, it peaks out and you need to get into second. By third, things are much smoother and you can even go through slow traffic in third all day long. There is enough grunt. Get an open stretch of road and cruising at 70kph is easy. The suspension is firm but supple and the weight of the car keeps it planted on the road. On seriously long distances, you may be better off with a faster car but for reasonable distances, the Ambassador is a potent cruiser. You realise this after spending an entire day in it, and taking it through parts of a city it has called home for over half a century. As we exit the plant, our last stop is a small ground that holds around 50-odd Ambassadors that are waiting to be dispatched to potential customers. Among the mass of white, we spot two striking red cars. 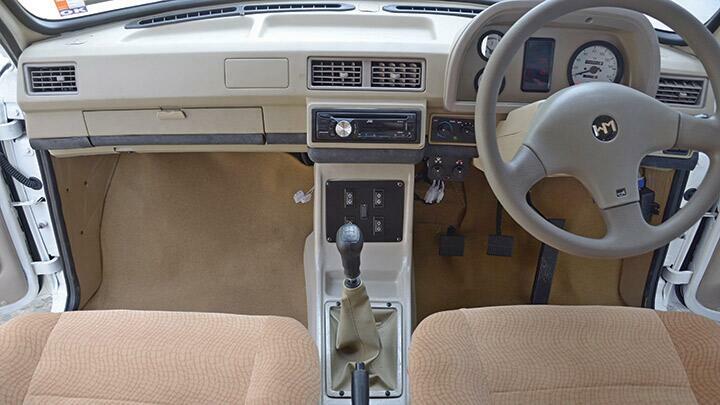 They are left-hand drive Ambassadors for the Nigerian market. Clearly, HM hasn’t given up on this car. And it shouldn’t. Sure, it has its flaws – it is crude in comparison to today’s cars, and sometimes you feel the carmaker is trying too hard to present it as a modern product. But strangely, the Ambassador has passed the point where it risks getting sucked into oblivion. It’s been around too long and played family member to too many generations to die a silent death now. 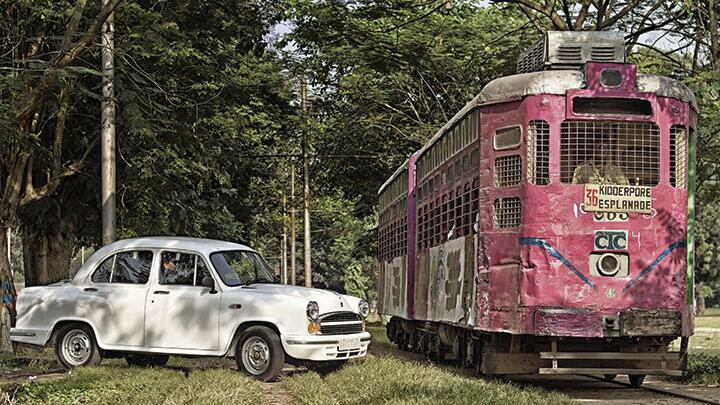 It may not be the greatest car ever built, but the life it has lived has certainly made it a true Indian legend.